The Stephs share their favorites this week in Top Two, Molly Miller our MN Maker of Sift Gluten Free joins the show, Gadgets the Stephs can't live without, and the Year of the Pig! We got down with Oprah's purchase of an Avocado farm and we talked about some of the inner workings of food reporting in the Twin Cities. The Stephs share their favorites in Top Two, new Peeps flavors, how to cook that Easter ham, and you favorite Prince songs and the Moral of the Story! 4/20/19 Hour 1: Why Do We Eat Eggs on Easter? It's a Holiday weekend friends! Why do we eat eggs on Easter, alternative brunch ideas, The Lynhall crew joins in studio to talk Easter brunch, and the Stephs take your foodie questions about baby shower brunch and semi-private room restaurant recommendations! The ladies hang out at Surly Brewing and talk records while Tony Zaccardi spins the background music. Record Store Day, Black Sesame Paste, Avocado Toast at Salty Tart, and Rustica Bakery! The Stephs share their favorites, which include black sesame paste and avocado toast, what to cook for Easter, where to go for Easter brunch, and more local, foodie events! The Stephs talk Home Opener at United Field, Guest Lori Boemer shares her expertise on jelly beans, Rick Bayless calls in to chat deviled eggs, and the Stephs answer your foodie questions about brunch and bachelorette party restaurant ideas! Steph March, Head Chef Tommy Begnaud and Scott Pampuch Head Chef from sister restaurant 4Bells, gives us a tour of Brunch at Butcher and Boar and talk about changes at 4Bells. 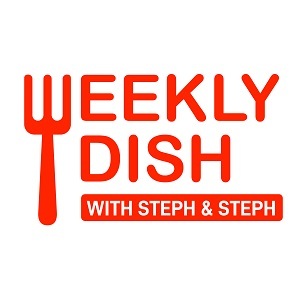 The Stephs talk about their fun dinner for the Ronald McDonald House, Margarita Madness final two, Guest Carin Skowronsky talks wine and upcoming MN wine event, and what to cook for a friend in need! The Stephs share their favorites in Top Two, Guest Leslie Miller joins the studio to talk Spring wines, Final Four feasting and fun, and more foodie news!